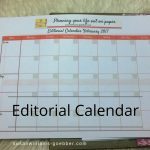 Making life easier, with this 2017 editorial calendar will give you space to plan out anything from blog posts, Youtube videos, project planning in your business or home. 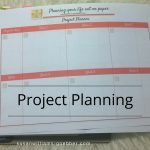 Wanting to plan out your book chapters? Well, here you go…. We have an editorial calendar to write down anything from email campaigns, social media posts and loads more…..
A Monthly (January -December 2017) overview to work out when the project has to be done and the days you will be working on it. When your emails will be posted and or your social media posts. Next, up, we have a project page where you can map out all your ideas. 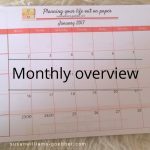 On the editorial and the Monthly pages, you can write down your to-do’s, blog post ideas and your goals for that month. Here blog post on how to use these pages. 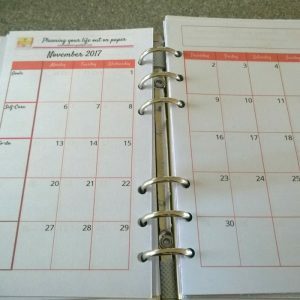 A 2017 Month on 2 pages inserts for your personal size paper planner. Have all your important dates for the month laid out in front of you. Never again miss a birthday or a meeting. Perfect for you if you are planning a project or your summer holidays. 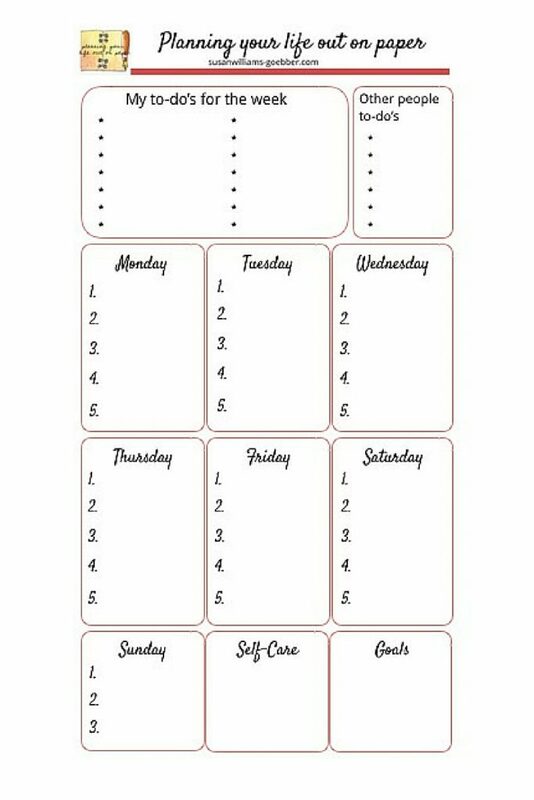 This insert also has a goal section, a self-care section, and a to-do list section. 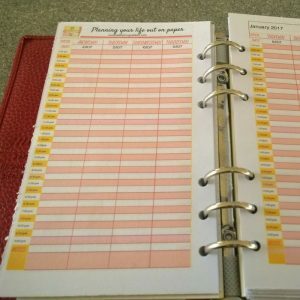 When printed out as a booklet, this will give you a personal sized planner little larger than the Filofax inserts. Are you someone who needs a little more space to write? Then this A4 / A5 is the perfect planner for you. Plan out your self-care for the month and making sure you don’t forget to be kind to yourself. To print out as A5 please change your settings on your printer. Choose the booklet option, and you’re all set. Are you a bullet Journaler? This will save you time on drawing your own boxes. Good for future planning, never miss a doctor’s appointment again. A Week on 2 pages with 1/2 hour segments from 5 am to 9 pm with a note section at the bottom. This insert also has a goal section and a to-do list section. Download as a normal A4 page or as a booklet for A5 inserts. A Week on 2 pages with 1/2 hour segments from 5 am to 9 pm with a note section at the bottom. This insert also has a goal section and a to-do list section. When printed out as a booklet, this will give you a personal sized planner little larger than the Filofax inserts. 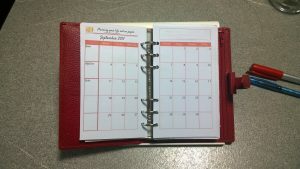 When printed out in booklet format, this will give you a personal sized planner, a little larger than the Filofax inserts.